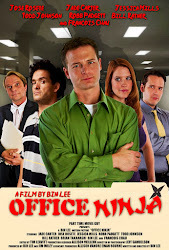 Office Ninja is now a Winner and Official Selection of the 16th Annual Indie Gathering International Film Festival, in Hudson, Ohio! It will be screening on Saturday, August 18th, 2012. I hope to attend that weekend. Once again, I am honored that our movie has been recognized and will be shown at this prestigious film festival.